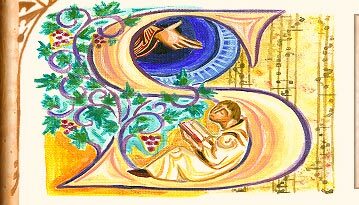 Benedict of Nursia is considered the father of medieval monasticism and, during the above-named Canonical Hours, Cenobite Benedictine Monks (monks who lived under the rule of an abbey) sung psalms using Gregorian chant. 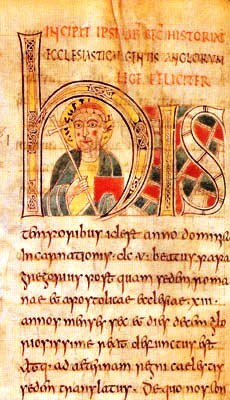 Gregorian chant is named after Pope Gregory I (c. 540 – 12 March 604), but it was not fully codified until the monks of Solesmes undertook this task, in the nineteenth-century. The monastery at Solesmes, France, had been lost to civilians during the French Revolution (1789 – c. 1794). It was restored and the liturgical Gregorian chants, now contained in the Liber usualis, were edited. However, Gregorian chant had nevertheless been used since the eight century. 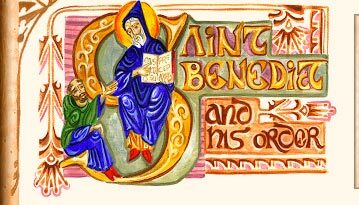 In the Rule of Benedict (XIX), Benedict writes: “Sing ye wisely” (Ps 46:8). In Chapter IX of his Rule, we find a reference to a “cantor,”[ii] a Judaic term. In other words, the Benedictine’s Book of Hours is the above-mentioned Liber Usualis, a compendium of liturgical Gregorian chants, first edited in 1896 by Solesmes abbot Dom André Mocquereau (1849–1930). The Canonical Hours are also called the Divine Office and Liturgy of the Hours. of the Asperges, from the Liber Usualis. Although it is a Book of Hours, the Liber Usualis is not an illuminated manuscript, except for historiated initials. Despite a motivation, by the monks of Solesmes, to revive Benedictine monasticism, it is a modern book of Gregorian Chant. However, in the wake of its publication, a Motu Propio (letter from the Pope) for the reform of Church music was issued by pope Pius X (22 November 1903), approving of the Liber Usualis. It should also be noted that the Second Vatican Ecumenical Council (opened by Pope John XXIII in 1962) retained Gregorian chant (Sacrosanctum Concilium, 116). So, although Monks now use the Liber Usualis, Gregorian chant has never fallen into obsolescence. In earlier posts, I have stated that feasts were celebrated during solstices and equinoctial points and that consequently the transition between “paganism” and Christianity had not been abrupt. Similarly, Benedictine Hours are related to solstices and equinoxes. Critic Northrop Frye suggests that these words: “My God, my God, why hast thou forsaken me?” express the very essence of the tragic mode. [i] See Chapter XVI of the Rule of Saint Benedict. [ii] Shebbeare, Wilfrid. “Cantor.” The Catholic Encyclopedia. Vol. 3. New York: Robert Appleton Company, 1908. 7 Dec. 2012. [iii] Northrop Frye, Anatomy of Criticism (Princeton, N. J.: Princeton University Press, 1957), p. 36.